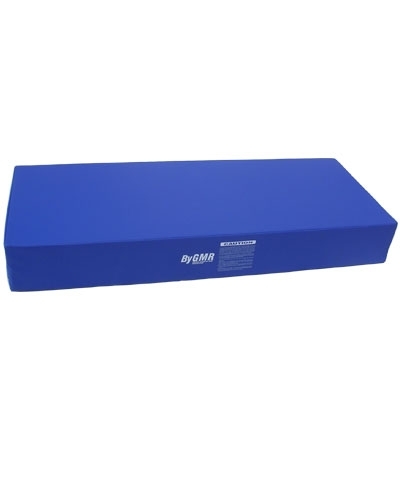 Panel Blocks replace the need for using panel folding mats as spotting blocks. The Panel Block is 2'x5'x8" and is the same size as a 5'x10'x1.25" mat when folded. Each block is filled with high density polyurethane and topped with 1.25" crosslink foam for a stable, firm footing surface. Covered in random colors with durable 18oz coated fabric. Add $45.00 shipping.